Recently, I was fortunate enough to sit down and chat with Dr. Wendy Sue Swanson, a well-known pediatrician at Seattle Children’s Hospital, regarding portion control and appropriate servings sizes for kids. Dr. Swanson takes a no-nonsense and common sense approach to determining what a healthy serving size looks like for her patients and her own children. Hunger should determine portion size for your child, but understand that if your child is eating while distracted (watching TV or playing video games), that rule is broken. Children can’t use hunger and fullness as natural cues if eating while watching, driving, etc. or thinking of other things. Multi-tasking during meals leads to overeating (and it happens with adults too). Limit the supply of bad foods – Our job as parents and guardians is to provide healthier snack options, such as fruits and veggies. When your kids are looking for snacks, keep pre-cut, packaged fresh fruits and veggies at eye level. Keep the chips, sugary drinks and pretzels locked away in the cupboard. Plan ahead for healthy snacks – Set aside 30 minutes a week for “snack prep.” Chop up veggies into bite-sized pieces, put seeds and nuts into Ziploc bags and wash a few pieces of fruit. Place them front and center (eye level) for your children in your refrigerator. Provide a distraction-free eating zone – If your child’s eyes and ears are not being filled by the tablet or phone, TV or book even then they can focus on letting hunger guide their portion size. This topic and interview is also featured in the August Costco Connection. 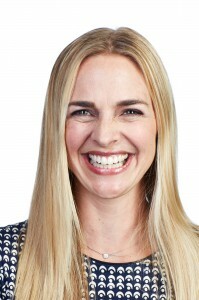 Dr. Wendy Sue Swanson is a board certified pediatrician, mother to two young boys and the author of the Seattle Children’s Hospital Seattle Mama Doc Blog, the first pediatrician-authored blog for a major children’s hospital. Dr. Swanson is interested in the intersection of media and medicine and its impact on the physician-patient relationship. Her online presence through her blog and Twitter has touched the lives of millions of parents who would have been beyond her reach without social media. Dr. Swanson works diligently to offer parents relevant, practical, and timely health information in accessible formats and she believes that a growing community of online physicians can empower parents and patients to make informed decisions based on science. Tackling issues from vaccines to potty training to work life balance, Dr. Swanson provides a voice of reason, not only as a pediatrician but also as a parent, helping parents gain clarity and eliminate fear when making decisions for their children. Her book, Mama Doc Medicine, published by The American Academy of Pediatrics, hit bookshelves in early 2014. Dr. Swanson is the founder and executive director of Digital Health at Seattle Children’s. She is also an executive committee member of the American Academy of Pediatrics Council on Communications and Media. She is also on the Board of Advisors for Parents magazine and is on the board for the Mayo Clinic Center for Social Media. She is a weekly medical contributor with NBC affiliate KING 5 News in Seattle and is a practicing pediatrician with The Everett Clinic. Dr. Swanson is an advocate on the topic of vaccines and was named a CDC Childhood Immunization Champion in 2012. She was named to TIME Magazine’s Best Twitter Feeds of 2013.